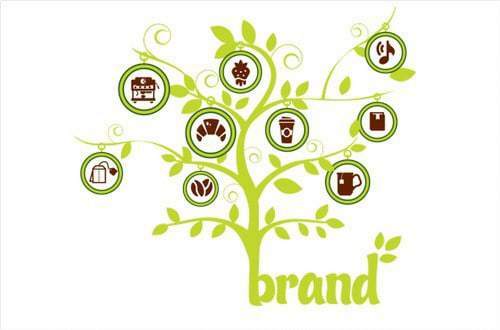 Home » BRANDING » What is Brand extension? A brand is a name that is given to a product or service so that it will have an identity to itself. Brands are usually different from products. Brands are basically related to what the customers buy whereas products are related to what the companies make. 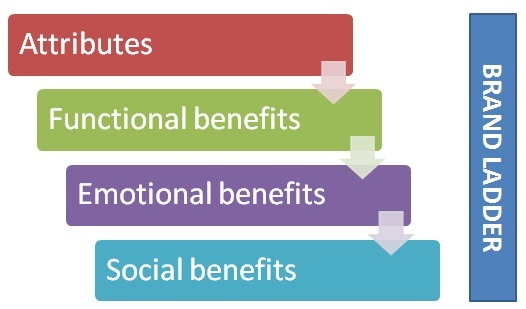 A brand is considered as an accumulation of functional and emotional associations. Brand gives an assurance that the product will execute as per the expectations of the customers. The perception of the customers about the product is formed. 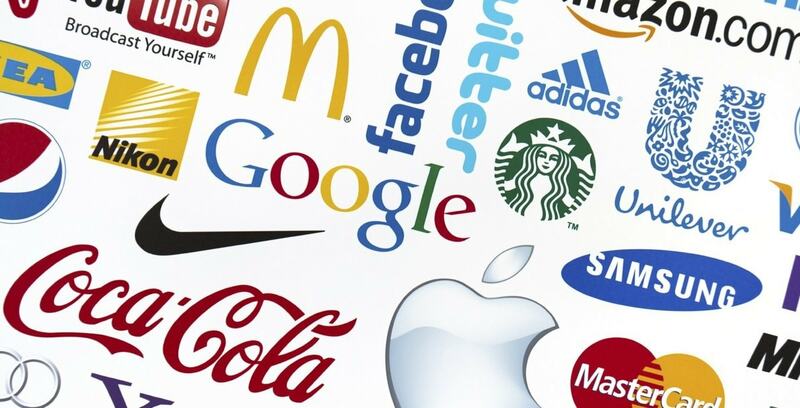 Brands will have a trademark that will protect them from others to use it. It also gives information about the organization, goods or services highlighting it in the marketplace. Branding is a set of marketing and communication methods that will help a company to distinguish it from their competitors. Its main aim is to create a lasting impression on the customers. A brand has a different view with respect to customer and seller. To a customer, a brand will denote the source of the product, the lower risk involved to purchase the product, giving the ownership to the manufacturer of the product, quality etc. It simplifies the purchase decision. To a seller, a brand will denote competitive advantage, the way of identification, quality to customers etc. 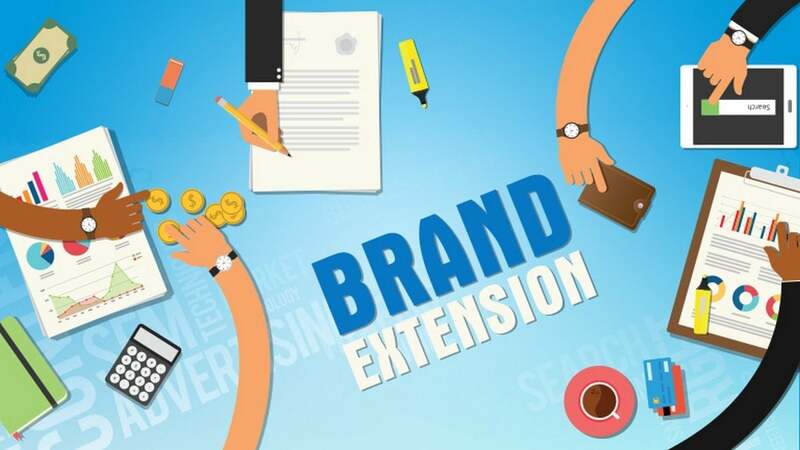 Brand extension is a strategy used in marketing. A company which is already branded in the market with a pre-defined image will make use of the same brand name to market a different product category. By using the new product category linked with the existing brand name, the market reach of the new product can be made easy. Since the market is already aware of the existing products that are associated with the brand, the new product will reach out faster to the customers. When a new brand is combined with an existing brand, the brand extension is called as sub-brand. An existing brand which gives rise to a brand extension is called a parent brand. In a scenario, when the parent brand is already linked with many products through many brand extensions, then it is called as a family brand. When the customers of the existing product have greater values of the product, it is likely that the customers will accept the new business. A similar product can be formed into a different form from the original parent product. For example, snickers created into snickers ice cream bars. Having a different flavor, component or ingredient to the existing product to create a new product. For example Hershey’s chocolate milk. Adding a new feature or benefit to the existing product. For example, Febreeze is a brand that caters to household odor. It extended the product to car air freshener which made the good impact on the business. 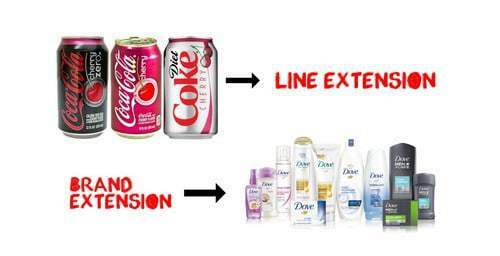 When the same brand is used to launch a product in a different way it is called line extension. 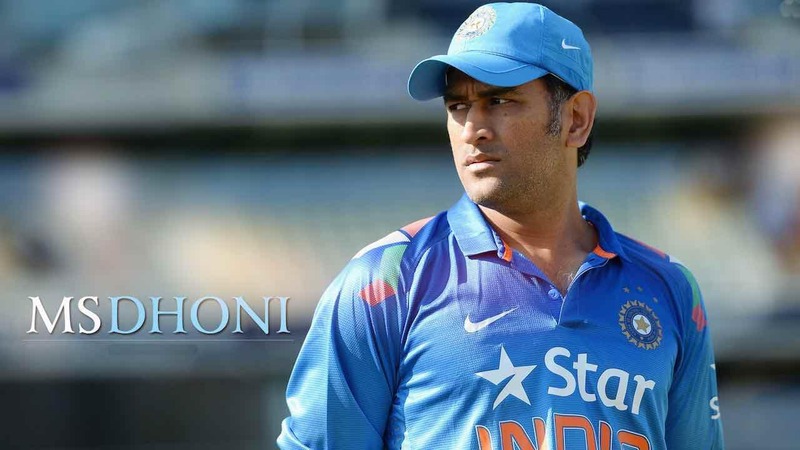 Byline extension, the product will be a slight variation to the existing ones. For example, Amul launched condensed milk which is an extension of milk; head and shoulders launched many shampoos that cater to different hairs. It can also indicate the resizing of the product. For example, Tropicana juice that comes with long and small packs. 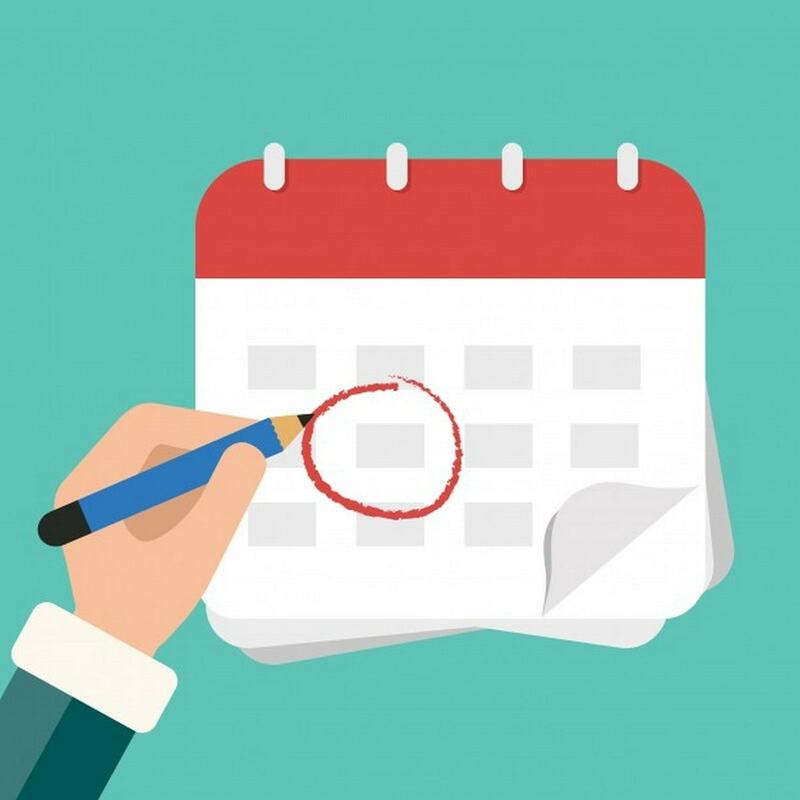 When the company launches an entirely new product it is called as the product extension. For example, Colgate Company which first used to make paste later started launching many products related to oral care, personal care etc. Hence customers who were already using Colgate paste will tend to use the new products as they are already aware of the quality of a product. Based on the customer group, the product range is extended. This type of extension basically targets a specific group of customers. For example, Johnson and Johnson’s company mainly focuses on products that are specific to babies like baby shampoo, powder, soap etc. Based on the expertise of the company, the company launches product category that makes use of the same name. For example, Samsung launches many products likes washing machine, mobiles, refrigerator etc. 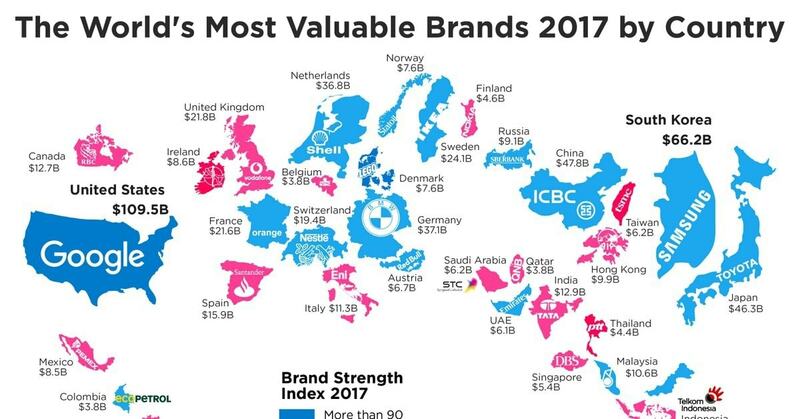 There exist many brands that are unique with respect to the benefits. These brands are mainly highlighted with respect to the benefits that they offer to the customers. For example, Dhatri oil has been imbibed in customers for its herbal nature that reduces hair fall and improves hair growth. Brand extension need not always be a success. It can lead to some failure brand extension. Let us consider some examples. Consider the brand Dove. It was mainly known for soaps. But now it is extended to many products like shampoo, deodorant and body wash. The brand extension of the dove for the new products has been a great success. Consider Adidas.The company started its brand of shoes. Later they launched many products related to footwear, clothing, accessories, and sports. Consider Titan. The company started its brand for watches, later positioned itself into the Titan house of jewelry, watches, eyewear and leather products. Colgate Kitchen items – This brand extension was a failure as it was not accepted to associate Colgate with meal as it was associated with oral and personal care. Consider new Coke. Coco-cola could not become successful in case of Coke. Rasna Ltd is one of the famous soft drinks. When it tried to change it product to its fizzy drink Oranjolt, it could not succeed. The customers will already be aware of the existing products that are linked to the particular brand. Hence the risk perceived by the customers regarding the brand will reduce. It can increase the brand image. Brand image is the customer’s current view about the brand. When the brand name is good, it can increase customer interest and readiness to buy new products. The cost involved in advertising, selling and promotions will be less as the brand is already well known in the market. Cost involved in developing the new brand is avoided. When new products are launched to the parent brand, the parent brand gets recognized more and its visibility in the market is enhanced. It also gives more energy to the brand. There arises clarity in the brand when many new products are launched under the parent brand. The market coverage is extended as new customers will enter to buy new products. The new product can increase the frequency with which the brand is linked with good quality. Moreover, the customer can also see the brand name quite often and the perception of the brand can be strengthened. The brand extension can help the brand fight against its competitors. To summarize, brand extension denotes the process involved when a company uses its influence to launch the new product in a different category. The main logic behind the brand extension is to transfer a network of associations which will drive customers to purchase the new product. 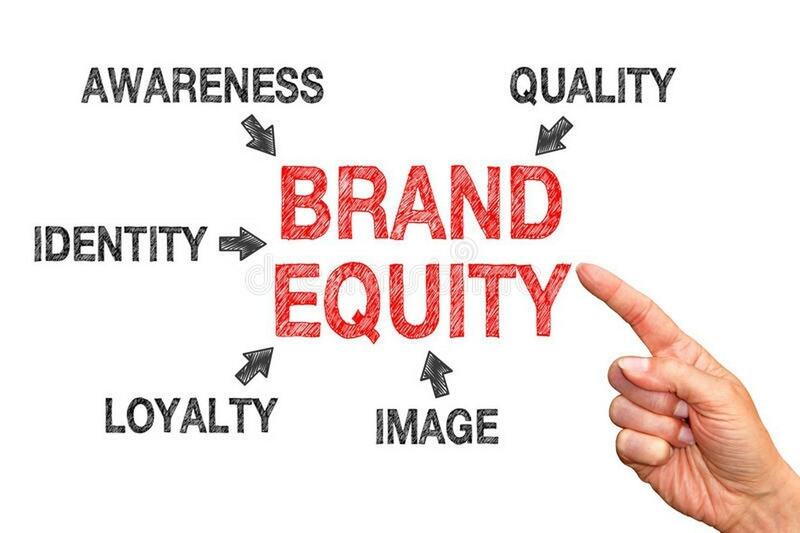 How brand visibility increases brand equity? 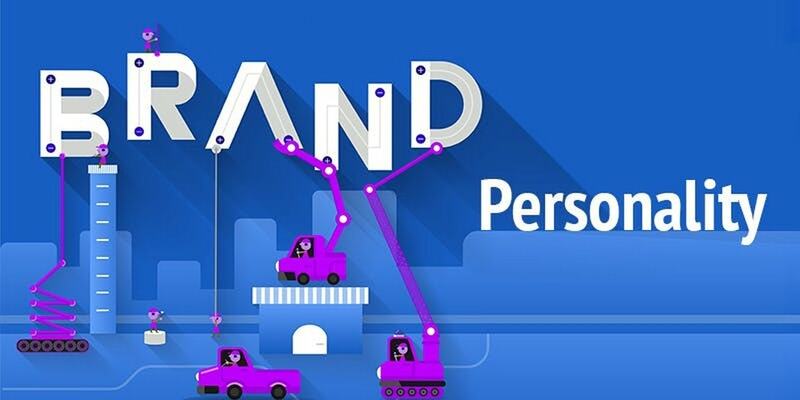 What is Brand ladder and how to use it for brand building?